This part of 27th on “Political Paradigm of Pragmatism from the Khmer Youth” broadcasted in July 5 and July 6, 2015, the author Mr. Sophan Seng continued to talk about the prospect of Sun Ray Policy Platform in second phase. Different from first phase expressingly upgrades the higher portfolio of the opposition party, this second phase is about the legal activity of the opposition to setting up their own shadow cabinet. 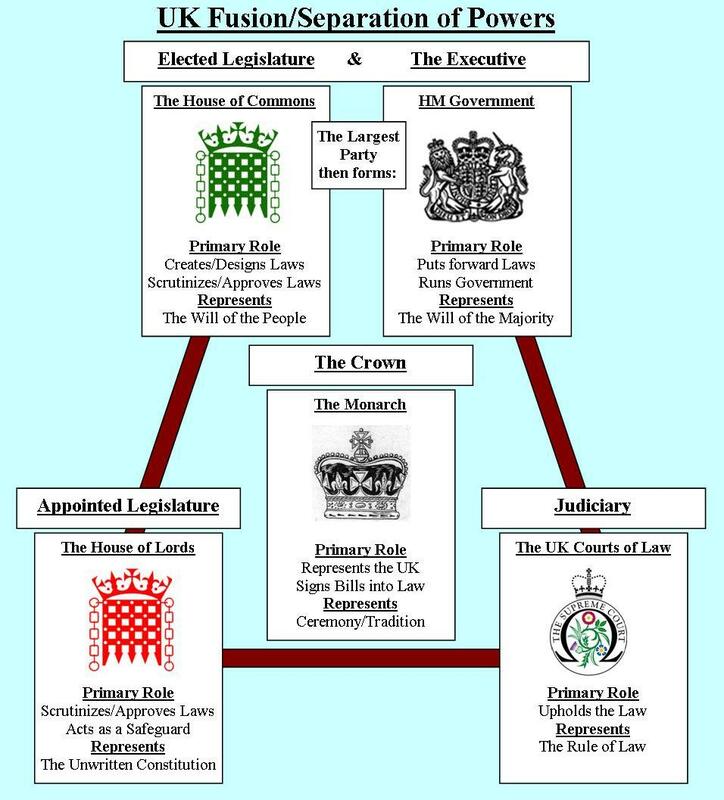 There are different names being used in major democratic countries on this opposition teaming-up scenario such as shadow ministers, shadow cabinet, group of critics, or shadow government etc. In Canada, current opposition leader Thomas Mulcair is not only the leader of opposition NDP party and minority leader of the Canada national assembly, he is also the leader of the shadow cabinet of NDP. Remember that Hun Sen accused MP Cheam Channy as illegally trying to inflict the government as he was assigned by the Opposition Sam Rainsy Party to lead the shadow defense ministry. MP Cheam Channy was arrested and incarcerated by the government. He was named the prisoner of conscience in that time. Actually, UNs failed to establish a sustainable democratic system in Cambodia especially the Political Party Institution in which many democratic countries such as Canada, Australia, UK etc. 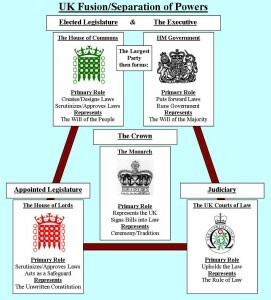 have fully endorsed official opposition to run their party effectively by giving them sufficient allowance and budget sponsoring by the state and let them conduct broader activities to effectively bring critics towards the status-quo government party leadership including establishing their own shadow cabinet to be ready for their future move. Those democratic founding fathers have well projected the national interest first, not the political party first in concreting the essential foundation of their nations. Among the pillars of democratic principles to sustain its long term political institution, Cambodia opposition party CNRP should be endorsed to run their own shadow cabinet without receiving threat from the government party leadership at all. 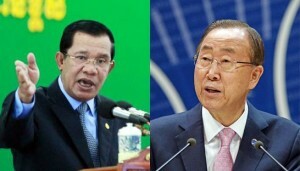 Prime Minister Hun Sen yesterday wrote to UN Secretary-General Ban Ki-moon requesting access to the original, constitutionally mandated maps of Cambodia, saying he wanted to end the “extreme nationalism” whipped up by the opposition over the Vietnam border. The request came as a Cambodia National Rescue Party lawmaker announced plans for a 10,000-strong march on a disputed patch of border in Svay Rieng, the scene of a violent clash between a CNRP-led group and Vietnamese authorities on June 28. In the letter, dated yesterday, Hun Sen asks to borrow the original Bonne maps, scale 1/100,000, which were developed between 1933 and 1955 by French colonial authorities and deposited by late King Norodom Sihanouk with the UN in 1964. Noting Sihanouk’s efforts to ensure the Kingdom’s borders were internationally respected, Hun Sun tells Ban Ki-moon the government needs the maps to “verify” its ongoing demarcation process. The premier also said he sought the maps in a bid to “end the incitement of extreme nationalism” by “some quarters” in Cambodia, which “may lead to catastrophe”, a pointed reference to the CNRP’s recent push to highlight alleged encroachment by Vietnam. He notes Cambodia’s “wellbeing”, “territorial integrity and sovereignty” and “the cause of peace and stability in the region”, among reasons for requesting cooperation. The opposition has long accused the government of using maps developed with Vietnam during its occupation of the Kingdom in the 1980s to demarcate the border, which they say cedes Cambodian territory, instead of the French-developed ones cited in the constitution. The CNRP has highlighted examples of alleged Vietnamese encroachment into Cambodia in Ratanakkiri, Kandal and Svay Rieng provinces, prompting official protests to Hanoi.